Albay’s sports tourism gets another big boost in February, when the province hosts the fourth stage of Le Tour de Filipinas 2016, where cyclists will circle the world famous Mayon Volcano twice on an out-and-back course of the Tour’s 147-kilometer final lap. Le Tour de Filipinas, now on its 7th Edition, passes Albay for the second time only in seven years, but its organizers said it, by far, could be the most scenic, rare and extraordinary route of the tournament. The race is sanctioned by the Union Cycliste Internationale (UCI), the Asian cycling Federation and the Philippine Cycling Federation. UCI, based in Aigle, Switzerland, is an Olympic body organized to supervise and help direct the growth of sport cycling worldwide. Sports has become an important component of Albay’s tourism, first introduced by Gov. Joey Salceda last year when he successfully negotiated the hosting of XTERRA Off Road Triathlon. On its second edition this February, XTERRA is expected to bring even more foreign and local visitors. Participants in this race also tackle a portion of the off road course at the base of Mt. Mayon, near an old lava wall, onto the finish line at the grounds of the 201-year-old Cagsawa Ruins. The Cagsawa Ruins grounds constitute the top surface of the rocks and other volcanic materials spewed out by Mayon Volcano when it erupted violently in 1814, and buried an entire Spanish settlement, including a huge baroque church. The site is prominently marked by the top portion of the church’s iconic bell tower framed beautifully by the magnificent splendor of the near-perfect cone-shaped and world famous Mayon in the background. The National Museum has recently declared the Ruins a National Cultural Treasure. Albay also hosts the 2016 Palarong Pambansa in April. Salceda said it will be staged as a sports tourism event, with the venues scattered around the province with a full view of Mayon Volcano, to give contestants and visitors alike the chance to go around and enjoy world class tourist attractions. In the Feb. 18-21 UCI cycling event, 15 teams — 12 foreign and three local, composed of about a hundred cyclists — will vie for the Category 2.2 Race. The 69-kilometer race, consists of four stages. It starts in Antipolo City and ends in Legazpi City in four days. Aside from the cyclists, Salceda said Albay will also play host to a large contingent of tournament officials, the covering media, team supporters and the contestants’ kin and friends. 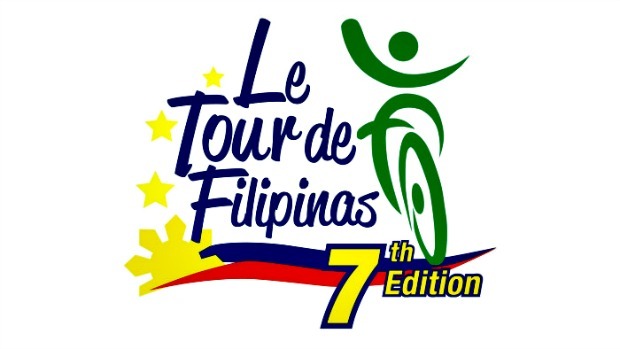 The foreign teams joining Le Tour Filipinas are from Belarus, United Arab Emirates, Japan, the United States, Holland, Germany, Korea, Malaysia, Taiwan and Laos. The local teams aiming to grab the title are the 7-Eleven Road Bike Philippines, Kopiko Cebu Cycling Team and the PhilCycling National Under 23-Team. A UCI release said the race’s Stage One is a 153-kilometer lap from Antipolo City to Lucena City in Quezon. Stage Two will be the winding 204-kilometer span from Lucena to Daet, Camarines Norte. Stage Three will bring the cyclists 187 kilometers further south to Legazpi City, the heart of Bicolandia, on Day 3. The Final Stage on Day 4 will be a 147-kilometer lap around Mayon Volcano with the cyclist circling the volcano’s base twice.